Existing to share the Bread of Life with the hurting and lost of humanity. BOL’s mandate is to reach the unreached and least evangelized people groups both within Kenya and beyond. This will be accomplished through frontier evangelism strategies with church planting as an end result. BOL has successfully planted churches in four people groups: the Maasai, Pokot, Turkana, and Toposa and are currently focusing on the Turkana and Toposa tribes. Our vision is to continue reaching more people groups outside of Kenya in the near future. Improve both Quality (character reflecting Christ) and Quantity (new believers) growth of the Church. Enhance the community’s spiritual and social transformation. Impact the discipleship student in reaching and discipling their own people group and the world with the Gospel of Jesus Christ. Most of the targeted people groups lack basic needs such as food, water, medical attention, and education. BOL believes that the Gospel can not be complete unless it is represented holistically. 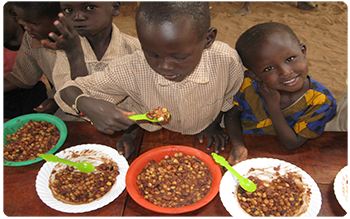 Bread of Life engages in representing the compassion and mercy of Jesus Christ to the poor and needy among the targeted people groups through medical camps, relief food, supplying of water, child sponsorship programs, and other ways to serve these people groups who are in need. This is in obedience to Jesus’ call in Matthew 25:31-46. Bread of Life Missions believes that the local church is the hope of Jesus Christ to the world. It is through the local church that God has ordained the vehicle for world missions. Therefore, BOL will work in partnership with the local church both for field outreaches and the resourcing of the ministry. Bread of Life Missions will champion and challenge the local church in her involvement in world missions. John Mwololo is one of the Founders of Bread of Life Mission and is passionate about discipling and building churches. Ernest has a heart for the Kenyan people and reaching those who have never heard the Gospel of Jesus Christ. 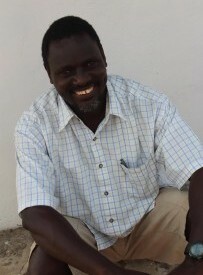 Joel is the President of Bread of Life Missions, Kenya. Joel has been involved in full-time mission work for over 20 years. 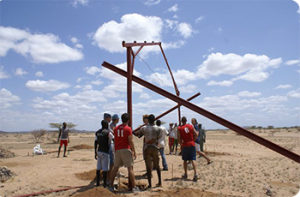 In 2012, an American team from Seacoast Church joined the Bread of Life team in Namariat, Morungor, Turkana, to start construction on a 3-room clinic. The clinic was finished fairly quickly, but it remained unused except for a few medical teams coming to the area until January of 2017 when the Turkana county government partnered with Bread of Life to bring a community health worker out to staff the clinic. Since it opened at the beginning of 2017 it has become one of the busiest and best run clinics in the Turkana bush. Because of the clinic’s efficiency and use, the county government would like to partner with Bread of Life again to build a larger health center with 2 wards and a laboratory. When we accomplish the larger building, the government will supply a full-time nurse as well as the equipment and medication to keep it running and better treat the 3000+ men, women, and children in the area. Thank you for partnering with us to better serve the people of Turkana, Kenya, and to bring medical care as well as the Great Healer to a forgotten people. Bread of Life is committed to the cause of seeing the unreached people groups come to faith in Jesus Christ. There is no mission organization more committed to the cause of spreading the Gospel and Love of Christ throughout unreached People. Bread of Life has changed my life and by supporting missionaries in the field we can allow it change others. After establishing a church and discipleship program and building a well, the next great need we saw was that of education. The children had no access to education without having to walk a great distance, a distance so far that most of the parents would not allow their kids to go. 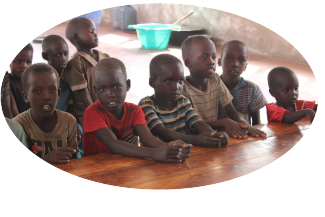 In 2011, Bread of Life Mission opened its first school in Turkana, Kenya, with our second school opening the beginning of 2015 and our third at the beginning of 2017. It is our desire to see transformation not only in this community but all throughout Turkana, and we believe that education is required in order for this to be achieved. 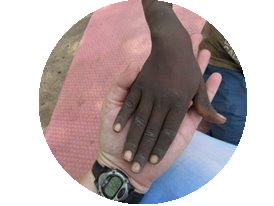 As a Bread of Life partner, you have the opportunity to sponsor a child and provide them with not only a great education, but the school will also provide 2 meals a day plus any medical care the child may need. As a sponsor, not only do you have a chance to support your child financially ($42/month), but you also have the opportunity to pray for and communicate with your child. They become a member of your family and you get to see how God can use you to transform not only a life, but a community. To sponsor a child, please contact Bread of Life and we will allow you to choose a child to sponsor. Thank you for prayerfully considering how you can change a life. Making a huge difference with Bread of Life is easy. See 3 easy ways below to partner with us today..
Pray that BOL would continue to discern God’s Will and walk in the direction that God has already planned for us. Pray that God would transform the lives of the unreached and least evangelized people groups that we are actively ministering to. Pray that God would supply all the needs of the organization and the full-time missionaries. All BOL Prayer Team Members will be sent a quarterly letter stating the immediate needs of the ministry. Since there are many needs that present themselves throughout the year, this is one way that BOL can keep prayer team members active in specific requests that are needed. BOL’s Board of Directors and Missionaries are in need of prayer team members who are willing to lift them up on a consistent basis, praying for needs, direction, guidance, and God’s Will. Short term mission trips usually range from 10 days to 2-3 months, depending on the need of the missionaries in Kenya, the need of the group that is planning the trip and the accessibility of the tribe being ministered to. Some tribes take 3-5 days to reach, therefore those trips are usually longer in duration, than one of the other tribes that can be quickly reached. 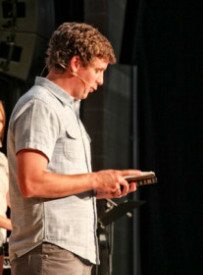 All trips are to one of the four unreached people groups, in Kenya or the Sudan, that BOL is strategically focused on. If you are an individual looking to jump on board a trip that is already planned, please check the Current Trips list and contacts us for more information. If you are a leader of a group and would like to organize a mission trip to an unreached people group, please contact Ernest Smith for more information. Bread of Life Missions desires to give people an opportunity to experience full-time mission work to the unreached and least evangelized people groups of the world. This experience is for those who are looking to develop their personal character and leadership abilities through the context of missions. An individual who is looking to participate in the BOL internship can choose to serve 1, 3, 6, or 12 months. Once an individual is accepted into the BOL internship program, he/she is then trained and equipped for their experience through meetings, research, and Swahili development. The person will then leave for the BOL base, located in Kenya, and will live with one of our missionary families for the time period specified. Throughout the experience, the individual will experience one or multiple tribes executing their training through personal evangelism, open air evangelism, discipleship training, and/or children’s ministry. All interns must raise the financial support needed while in Kenya. 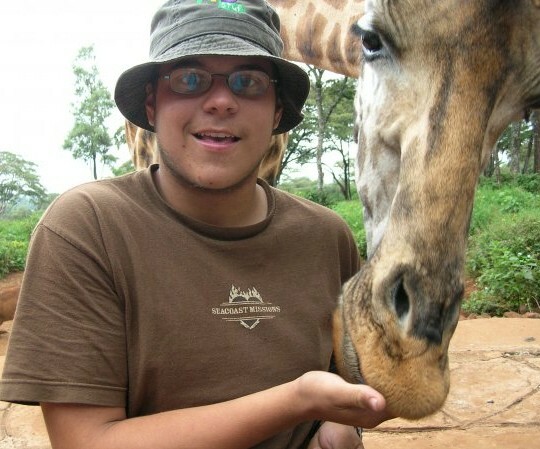 The amount of each internship is determined by the amount of time one spends in Kenya. BOL, USA, staff will help in the process of training and ideas for financial support with all individuals who currently reside in the United States. Any candidates outside the US will have a personal liaison to assist in the training and financial support process. You can choose to give a gift to support a missionary and his family with their everyday needs, such as housing, food, utilities, transportation, etc. All of BOL’s missionaries are full-time, which means their entire family income is based on the generous donations of others. f you would like to give but do not have a specific desire for how the money is to be spent, you can give a gift to the general fund. This fund is used in a variety of ways including, but not limited to, supporting the field outreaches each month, community development, raising awareness and gaining more supporters in the United States and in Kenya, future global projects, and many more initiatives and needs.